Vigyan Prasar has accessioned 6083 books, 5 bound journals and reports/bulletins/books received on complementary basis. Presently, the library subscribes 37 national and International journals & magazines. The main objective of Vigyan Prasar is to promote science and technology as widely as possible among the common mass. So its library has a wide range of popular science books, encyclopedias, and reference books on each stream of Science and Technology .It also includes Scientific Biographies, Scientific Heritage and History of science, Science fiction, Hindi books and Activity books etc. Library also provides current awareness service through bringing out monthly magazine – DREAM 2047 and VIPNET newsletter. Vigyan Prasar is a member of National Knowledge Resource Consortium for accessing the online journals and British Council Library for accessing the books and DVD’s Vigyan Prasar also have. 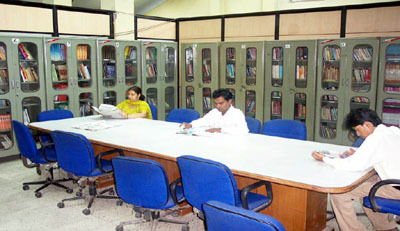 Using E-Granthalaya4.0 software, the library catalogue has been computerized and is now available online to the readers both within and outside the Institute.